Gabrielle Union supported Kerry Washington at the opening night Broadway show of ‘American Son’ on Sunday (November 04) in New York City. 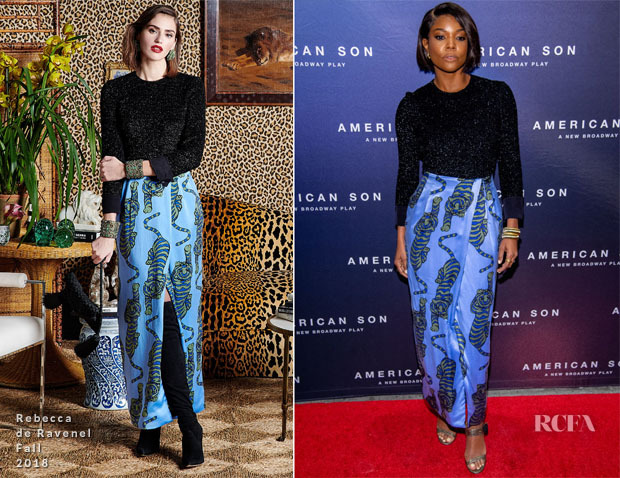 The actress gave Rebecca de Ravenel her red carpet debut wearing a look from the Fall 2018 collection. 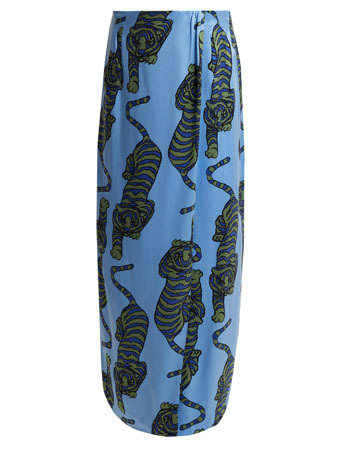 Printed with large tigers, this is a striking example of the label’s graphic inclination which Gabrielle allowed to shine by pairing the skirt with the black blouse. Did the sandals take this skirt into Resort territory? I’m not sure, but I do love the styling with the boots.